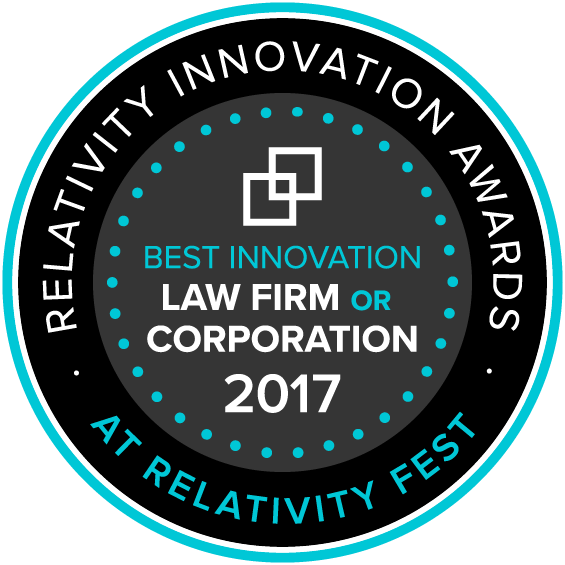 The Relativity Innovation Awards is an annual competition celebrating organizations that use the Relativity platform in creative ways—solving difficult or unique challenges within and outside of e-discovery. During Relativity Fest, we showcased the finalists' and winners' solutions in three categories, including Best Innovation: Law Firm or Corporation, Best Innovation: Solution Provider, and Best Innovation: Community Choice. 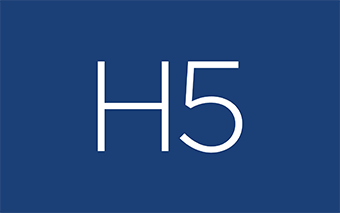 H5 created Matter Intelligence to provide maximum transparency and engagement with their customers through a suite of collaboration and reporting tools. 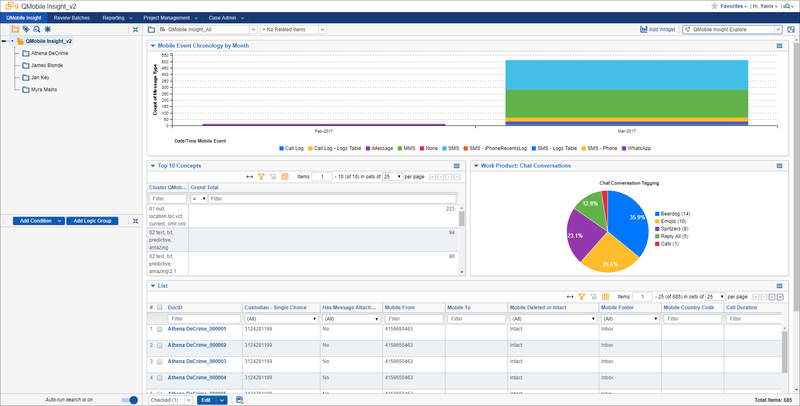 A unique interface provides a comprehensive view of project tasks, billable services, expected costs, and data center health. 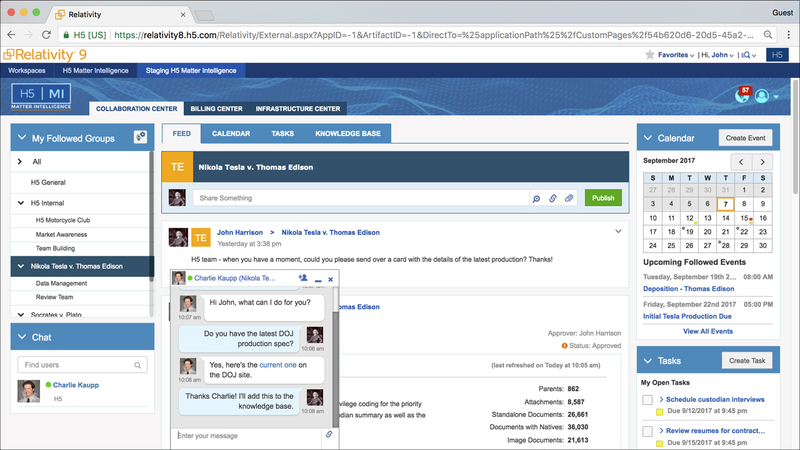 Project managers and attorneys can collaborate via a ‘feed’ showing all case activities, generate and share reports on the fly, share webs links and attachments, and chat directly within the tool. Matter Intelligence eliminates manual and standalone reporting activities and provides comprehensive visibility to clients on their matters, saving them time and money and helping them be more responsive to their own clients. Bricker & Eckler used Relativity to build a solution for a natural gas distributor in the process of developing an interstate pipeline to organize information related to thousands of real estate documents and manage the data of multiple landowners, tracts, and lawsuits. The user-friendly system compiles documents from a variety of sources, even creating litigation documents with the click of a button. QDiscovery created QMobile Insight to review and produce mobile data in Relativity the same way as other ESI, allowing them to search and analyze mobile data (including emojis) and quickly identify patterns in mobile data sets—which can consist of tens of thousands of texts, call records, and voicemails. QMobile leverages Relativity dashboards and custom views to allow analysis of previously hard-to-handle mobile collections. Compliance created a simple drag-and-drop processing tool that takes data from transfer to publish in one step. Built on Relativity and integrated with IBM’s efficient transfer tool, Aspera, the solution allows their clients to securely transfer their own data to Compliance, giving clients more control over data loading. 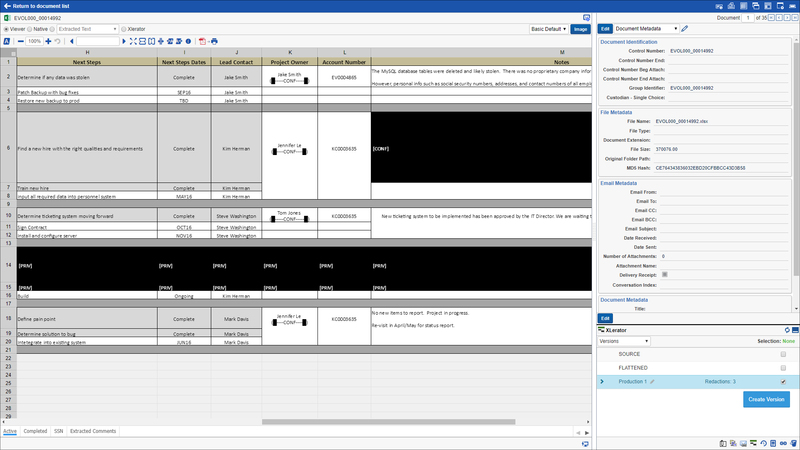 Evolver created XLerator to eliminate the timeworn, manual process of Excel review by allowing users to review, redact, and produce native Excels, without leaving Relativity or using the native Excel application. 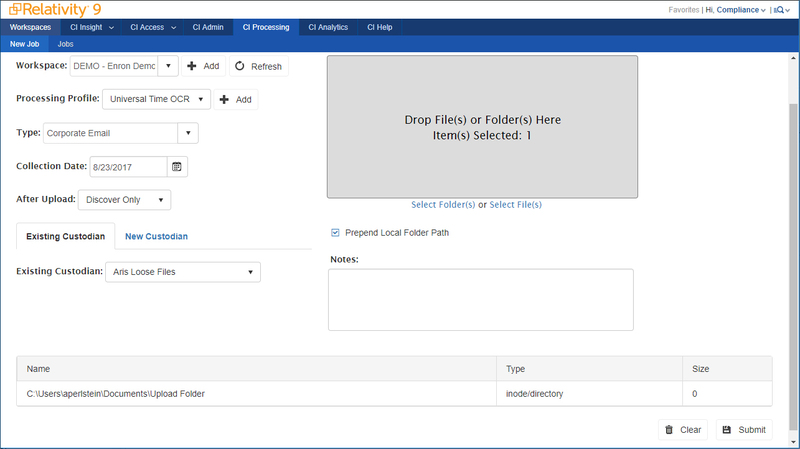 XLerator handles large data sets, allows for many redaction types and mass redactions, de-duplicates files, tracks audit history, and more, all while syncing with familiar Relativity features such as permissions, mass actions, and searching. Kilpatrick Townsend developed the LitSmart® Exhibit Sticker to reduce last-minute scrambles to manually apply exhibit stickers. Fully integrated with Relativity, the application enables users to add exhibit stickers—tailored to the case and court—with the click of a button. This not only reduces time and money spent, but also reduces the risk of error. Converge allows clients to process and store data once, in a single “master” workspace, while maintaining individual “child” workspaces for each matter which reduces cost of processing and hosting the same data more than once. Converge has a custom advanced deduplication process so that data can be merged from any source. 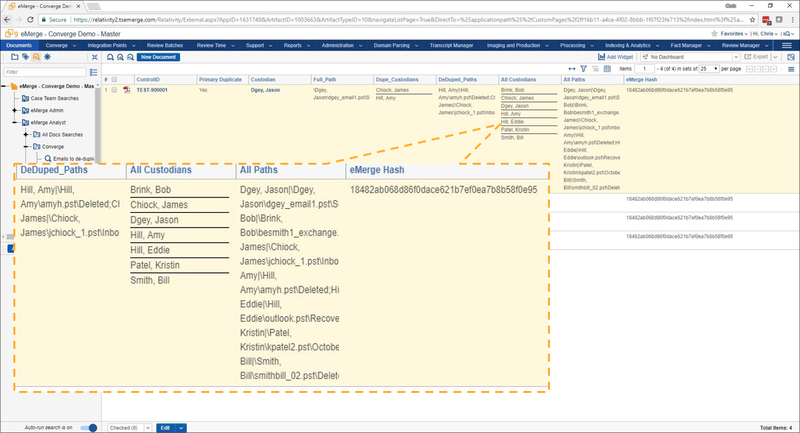 Converge also allows clients to reuse attorney decisions across all matters to improve consistency and reduce review of the same document multiple times. Prior to founding ReplyAll, Zach worked at Schulte Roth and Zabel, LLP and is a graduate of New York University School of Law. Before starting a legal career, Zach was a radio show producer for ESPN and a professional stand-up comedian. Sean is an analyst for the Workforce Productivity & Compliance Channel at 451 Research, directing its business and technology coverage of information governance, compliance and electronic discovery, and anti-fraud software and services. Kelly is an attorney focused on e-discovery and information law. Prior to founding ESI Attorneys in 2009, she was a partner at Quarles & Brady LLP, an Am Law 200 firm, managing litigation that ranged from breach of contract cases to $100 million bet-the-company class actions and multi-district anti-trust matters.